Formally I studied electronics and practiced for more than 3 years, specially as a technician and repairman in Radio communicators and RF equipment. 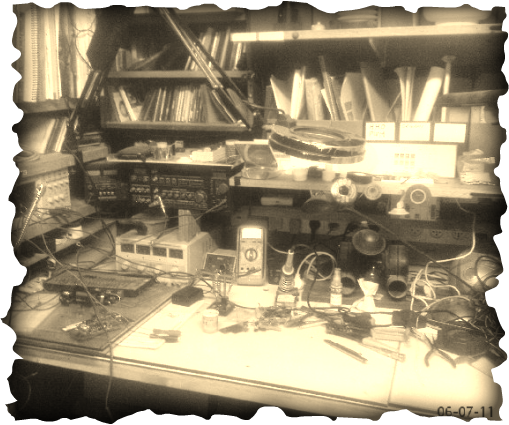 Luckily, since 1970, I started to became interested in electronics circuitry and how things work. I was a kid and teen ager willing to swallow everything dealing with amplifiers, transmitters, radio, filters, logic, TTL, and many other topics, that seamed weird to my surroundings. I had the chance to study Electricity, Physics and Electronics, analog and digital as well as electro-optical. Due to lack of opportunity and after loosing time in bridging the gap between my knowledge and the actual world, I only manage to deal with the external layer of electronics and not in the design of electronic circuits. In any case, my basic knowledge helps me when there is a need to design a device in which electronics are part of it. Until today, even my fully occupied time I peek websites whom offer circuits to solve daily life stuff. When I try to fill the gap between my knowledge and the existing cell and computers electronics, I give up and ask professionals to help and design for me.